If you need to ship your product, transport it a long distance, or store it for an extended period, prepare it for transportation as described here. Close the input tray and the output tray. Note: Make sure the output tray is securely closed. 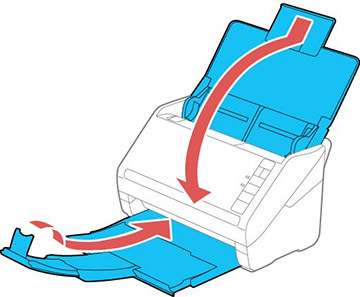 Place the scanner in its original packing materials, if possible, or use equivalent materials with cushioning around the product.